Challenging yourself to achieve something you haven’t done before is a great way to raise funds and awareness for LAFI Burkina. 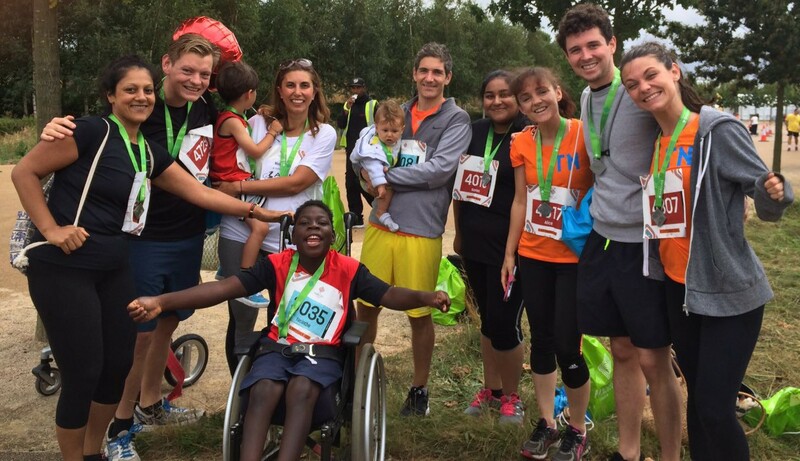 In line with our vision for an inclusive society for those living with disability in Burkina Faso, we have chosen each year to take part in Parallel London; a challenge event for all abilities. If you have your own event where you would like to raise funds for LAFI Burkina we would love to hear from you too, and will support wherever we can. Contact the team to let us know what you’re up to, or read more about our planned events below. Parallel London is designed for all ages and abilities; anybody can take part in one of the five distances (10km, 5km, 1km, Super Sensory 1km, 100m) set in the iconic Queen Elizabeth Olympic Park. Last year this event helped LAFI Burkina raise vital funds to support our partner projects in Burkina Faso. LAFI is entirely run by volunteers so all your hard earned sponsorship goes direct to them. We work hard with our partners to ensure the funds are spent on activities that will help them in the long-term and will update all donors on progress made as a result. We have 10 spaces in this event – if you’re up for the challenge and want to support LAFI Burkina through sponsorship, we would love to hear from you. Please email us to secure your space or to find out more information.